How the tests are done | What Car? 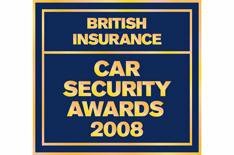 The British Insurance Car Security Awards are the toughest, most comprehensive assessment of car security today. The tests, carried out by experts at motor insurance research centre Thatcham, cover two main areas: 'theft from' a car and 'theft of' a car. Top marks show as a double five-star rating. Everything from ignition and steering column locks to the windows are considered, with each feature given a weighted score. The cars on these pages are the top three in each car category, so the differences between them are slender.